Acura has come a long way in the past few years and it’s certainly rebuilt its performance reputation with the introduction of the new NSX. 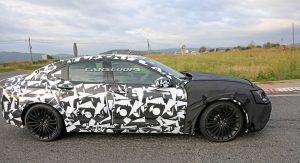 The company appears poised to capitalize on the latter as spy photographers have caught a high-performance TLX undergoing testing in Europe. 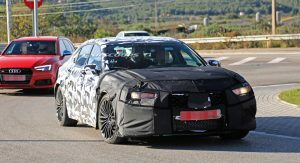 Spied being benchmarked against an Audi S4 Avant and Mercedes-AMG C43, the heavy camouflaged prototype is believed to be the range-topping TLX Type S. This makes sense as Acura announced plans to revive the Type S moniker back in January. 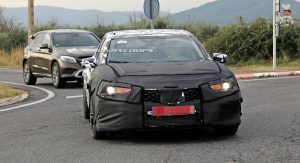 The name was last used on the 2008 TL Type S and Acura confirmed there will be multiple Type S models in the future. 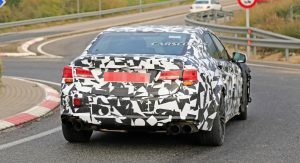 Given the name was last used on the TL, it makes sense that it would return on the TLX. 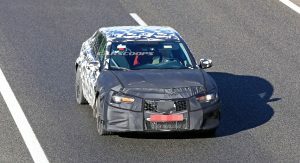 Getting back to the car itself, the model features a new front bumper with a massive air intake in the middle. 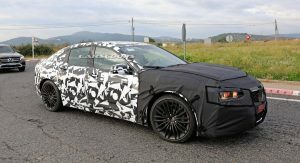 The camouflage hides additional styling details, but we can see the car has lightweight wheels that are backed up by a high-performance braking system. 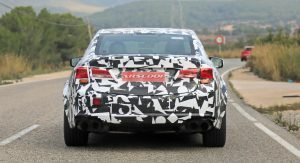 The biggest change occurs out back as the sedan sports a four-tailpipe exhaust system with massive tips. 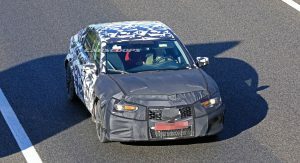 Engine options remain unconfirmed, but the TLX currently features a 3.5-liter V6 that produces 290 hp (216 kW / 294 PS) and 267 lb-ft (361 Nm) of torque. 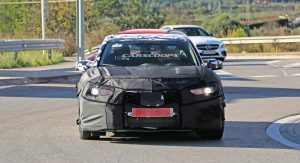 While that’s no match for the engines in the Audi and Mercedes, Acura has already confirmed it is working on a new turbocharged V6 which won’t be shared with Honda. I gave up DECADES ago being excited about future Acura products. You might want to think again after seeing the new RDX I suppose.. Same. Saw one in person, and it was not like seeing the new Q8, or the new X5, or the current GLC, or the current RX (I know these are not all the RDX’s competitors, but I am making a point). These actual luxury brands – whether you love or hate their style/design language – know how to make cars that stand out. 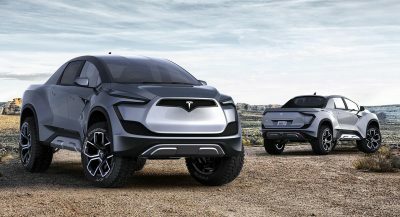 Look at the Volvo xc40.. that is a direct competitor that has that unique design.. There is some hope wrapped up in that – that’s for sure. 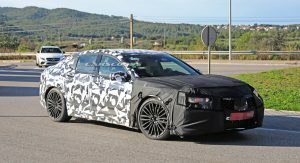 Car & Driver called the RDX Aspec more Bspec or Cspec. 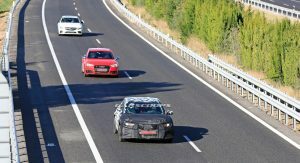 Motor Trend did not see it advance in their SUV of the year testing. Not a glowing reviews at all. I shopped the RDX and liked it because of the price. 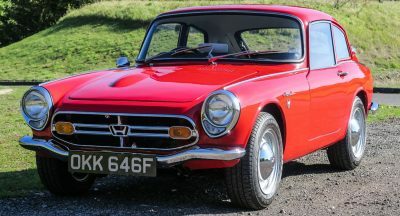 It drives better than just about all of its competitors and has way more standard features. This is proven in sales figures as it’s the #1 seller in its segment. It’s not the best you can buy, but it’s the best you can buy for 40k, which is why it sells well and why it isn’t winning reviews/awards. I gave up when they replaced the Legend with the RL. I owned an NSX at the time and wanted to buy a flagship sedan to go along with it. But Acura has never build anything worthy of the honor. THAT and the fact that my mom’s 2002 TL Type-S was a lemon didn’t help much either. yay. new acura. cant wait to see it. wow. im full of joy right now. Likewise, great to see Acura bring back the Type S! 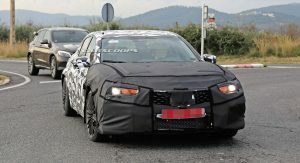 Anyway this is good news, the first relevant Acura sedan since the 90’s. Acura was hardly more than the Japanese Buick in the years before the new NSX kept alive by the MDX. The NSX’s performance is nothing to scoff at but more importantly it was the first sign of life for Acura in a long time. Hopefully this sells better than the NSX. I mean, that shouldn’t be too hard. Please please keep it covered!!!!! Yeah, a RWD chassis (replacing the FWD unit) with more necessities would be epic. 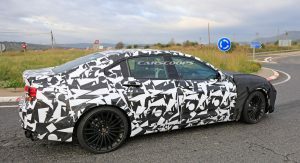 But then again, considering Acura’s comeback with the new RDX, I can tell the next TLX will be awesome too. Yeah, if the next gen RDX is anything to go by, then the next gen TLX should be pretty good. That’s kinda why I’m a little let-down that it just seems like a current gen TLX based model, which is at best mediocre. 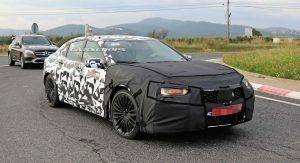 Being that this is Acura, I doubt that we’ll see anything RWD based. Anyways, I’m very interested in seeing that new twin turbo V6. 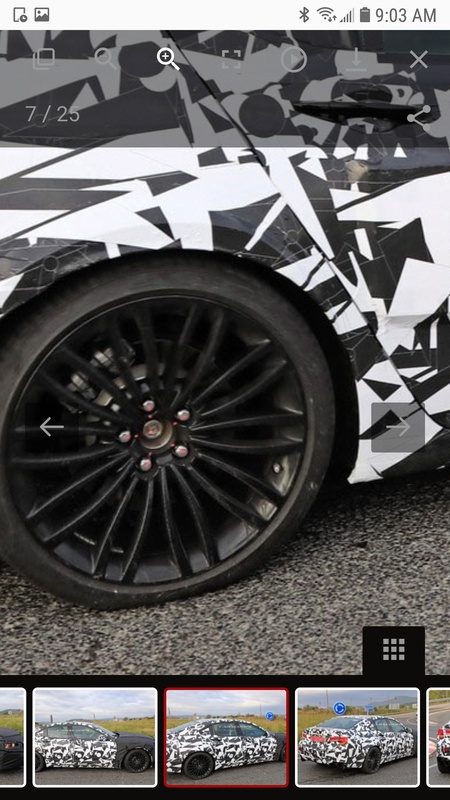 EDIT: Haven’t mentioned this yet, I’m digging those exhaust pipes. The new RDX 2.0T has had a very rough intial launch for a new vehicle with many owners complaining about poor quality for the price. Acurazine and Facebook for 3rd gen RDX are reporting numerous unresolved issues like harsh shifting transmission to locked or blank infotainment screen. The RDX 2.0T is anything from awesome according to the their owners. What are some of the complaints? 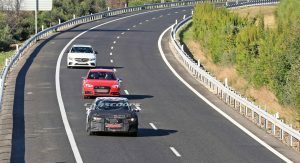 Both RDX and Accord 2.0T have complaints about limp mode when acclerating on the highway. Acurazine has plenty of complaints from 2019 owners about infotainment going black and no radio on trips, the OTA update didn’t help the blank screens, harsh shifting tranmission, quite a quality issues like paint flaws, rattles, I terror pieces not fitting or coming loose. 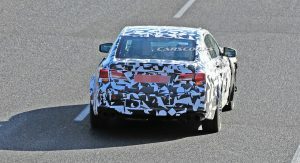 hmmm but Acura testing this car in Spain!? kinda weird since Acura doesn’t sell cars in Europe… maybe could be rebranded as a new Honda Accord in Europe!? That rear caliper is just way too small for anything more than qnything other than a turbo-4. After sitting in the new ES, LS, and LC, Lexus interiors are definitely not “plasticy.” Acura, plastic hell. Fair enough. But I only buy small-ish cars. As such, I shopped for the Lexus IS, Infinity Q50, etc. The ES, etc. are further up market. I’m really looking forward to this! 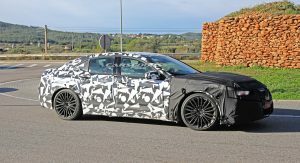 I just hope we’re not all disappointed like we were when the TLX first came out…. 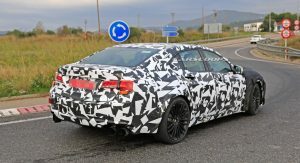 The quad exhaust tips are promising. Give it 400hp/400tq, a greatly improved 9 speed (the current one is crap) and a nicer interior and I think we may have something here. All performance Acura’s have greatly disappointed for decades so they really need to get this very, very right. 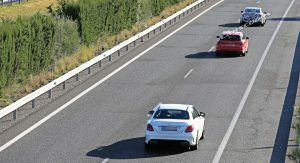 It shouldn’t be as good as an S4 or C43, it should be better. Audi is a master at turning nose-heavy cars into performance machines. I truly hope Acura has the engineering talent to beat them and produce a truly spectacular car. Image is important. It’s not really quantifiable how important, since global car sales are down across the board. But Acura sales haven’t taken a huge hit. I want to campare them to Buick but they already sell more and their sales fluctuate pretty wildly every few months. And on Genesis, they would and should be worried about them. Though they could distance themselves if they build on the more luxurious design language seen on the new RDX. And Acura’s image is crap. NO where near the Germans or even Lexus. Comparing sales to Buick means they’ve failed. Buick isn’t a luxury brand. Buick also outsells Lexus. 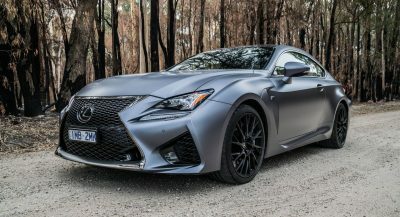 Does that mean Lexus has failed? I compared Acura to Buick because their cars are similarly boring. Do you even know what you’re talking about or why you’re saying it? NO, it means that Buicks don’t sell for Lexus prices. Warming over more Hondas isn’t going to do anything for Acura’s image. Don’t you get that? That is why they’re stuck now. You comparison of Acura to Buick is a race to bottom. Those pipes are f/n huge. This sounds like it is going to be some engine.